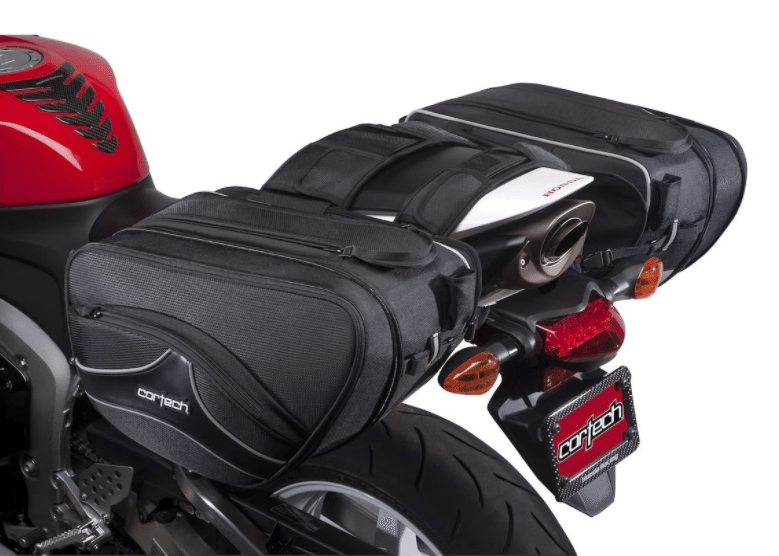 I really love the look and functionality of this sport bike luggage system offered by Cortech. 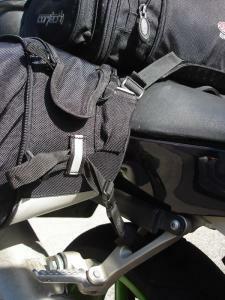 Everything is extremely high quality and I have no doubt the saddlebags will last for years just like my tailbag has. If you are planning on taking a long trip or if you need some extra compartments for groceries I would definitely recommend this system. Lots of room, Attaches to the Tailbag or can be used by itself, Sturdy construction, heat resistant on the bottom. 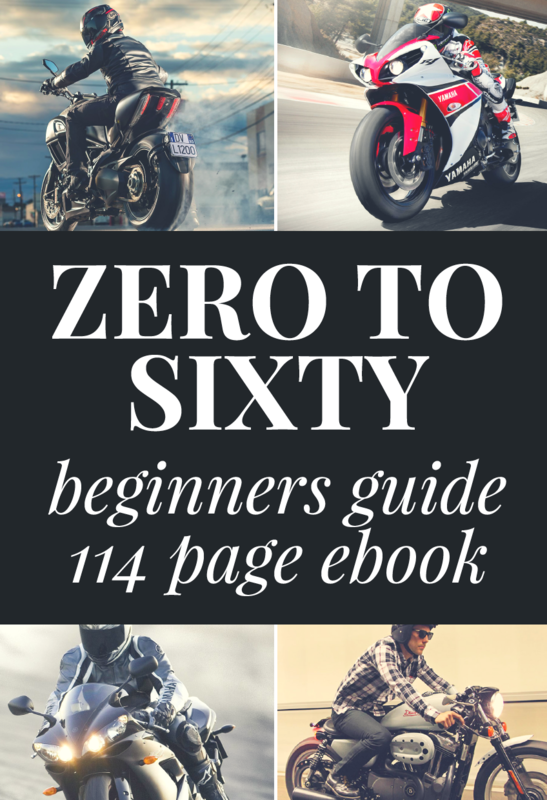 When it comes to carrying things on a motorcycle sportbikes have gotten the short end of the stick for a long time. Cruisers are almost always seen packing around saddlebags, in fact it just seems natural for a Harley or similarly styled bike to have a luggage system of some sort. 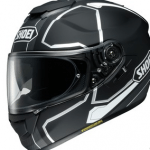 Cortech has come to the rescue of all of us sportbikers and put together an excellent saddlebag/tailbag system that would make even the most diehard cruiser rider jealous. 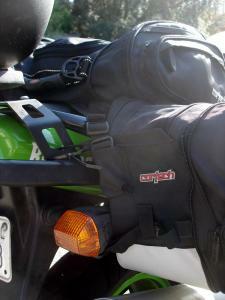 The Cortech Sport Tailbag was my first piece of motorcycle luggage and I really love it. I’ve put it through a lot of abuse and it has held up well. Although it served me diligently for years, after I got my Givi rack system I retired the tailbag to the back of my closet where it has remained until recently. A week ago I decided to take a vacation from Santa Clara, CA to Reno, NV and Moscow, ID for 9 days. I had stupidly purchased 2 large Nerf guns for my nephew and they took up all the room in my givi case so I had to store everything else in my tailbag (not enough room!). Thankfully, the good folks at the Motorcycle-Superstore saw this as a great opportunity for me to run the Cortech Sport Saddlebags through the wringer! 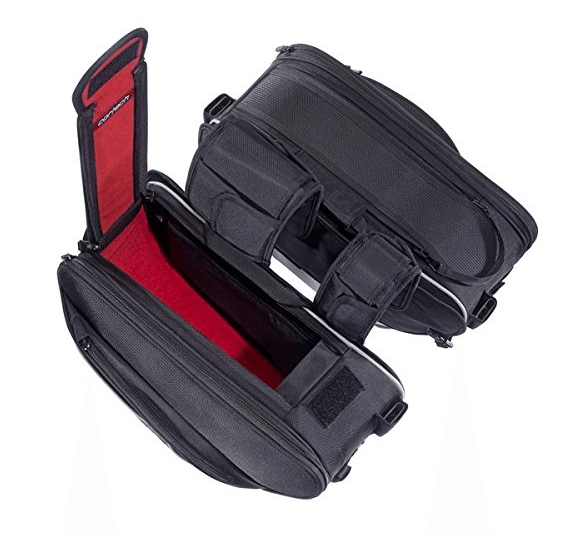 Cortech Sport Saddlebag Has Great Expandable Space! I was pleasantly surprised to find that even though the saddlebags offered a lot of space right off the bat, you could also unzip a portion of each bag to gain about 75% more room than you would normally have. This is also the case with the tailbag which helped a LOT when I was trying to find a space for my shoes. As you can see from the pictures I had quite a lot of stuff: T-shirts, pants, shorts, socks and various other clothes as well as odd items like 16oz boxing gloves, harmonicas, books, sneakers, and misc electronics. Without the ability to expand it would have been a tight squeeze getting everything inside, but with that extra space I found that I even had room to spare. the strap portion through a sturdy part of your bike (I chose my rear pegs and rear turn signals) and then you snap it into the appropriate connector on the saddlebags. It was a little confusing at first and it took me about 10-15 minutes to get them on the first time. After that initial setup I found I could set up my straps and put on the whole luggage system in under 5 minutes. The instructions that came with it say that you can leave the straps on the bike as a sort of ‘quick release’ attachment, but I wouldn’t try riding around with them unattached to the saddlebags because they are likely to fall off. If you had your bike parked at a motel though and you just wanted to bring in your luggage for the night then I think it would be find if you left the straps on your bike The saddlebags sit up higher than a normal cruiser bags would to avoid the hot exhaust pipe that is prevalent on most sport bikes. To increase protection the bags also come with a heat resistant liner on the bottom which kept all of my stuff protected from the heat of the exhaust. I loved the fact that the Tailbag mates up perfectly with the saddlebags. When both were together and on the bike it felt extremely solid and I couldn’t see anyway for them to become separated without human interference. I would feel comfortable driving with these at triple digits without having to worry about them coming loose. Even though I had loaded down the bags quite a bit, I don’t think it effected the handling at all. This is probably because the saddlebags and tailbag are all low profile which keeps the weight in a much more manageable position. I think having a passenger on the bike would add more stability issues than these fully loaded bags ever will. The one bad thing about having the saddlebags expanded is I was VERY nervous while lane-sharing. The bags didn’t really stick out that much, but even a few extra inches can mean the difference between clipping a mirror or not. Because the saddlebags aren’t hard shelled I was also worried that if I did hit a mirror that they might snag and pull my bike into the car. I’m pretty sure a lot of this was in my head because I’ve seen cruiser riders with wider bikes than me splitting lanes in places that would make a Ninja250 rider sweat. When the bags are not expanded they don’t stick out any wider than my legs normally do which makes them ideal for lane-sharing. I made a modification to the straps on the way back from Reno. In addition to the 4 clip-straps included with the luggage, I added 2 zip-ties from the saddlebags to my givi rack for some added stability. I noticed that towards the end of my first trip the bags would move forward a bit if I hit a large bump because of the angle of the rear seat. This wasn’t a huge problem, but one that was easily remedied for less than 25 cents! 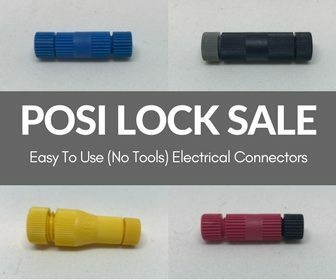 Attaches to the Tailbag or can be used by itself. Sturdy construction, heat resistant on the bottom.